You don’t need to have fancy equipment to build yourself an endless gas tank and strength on the Jiu Jitsu mats. Simple exercises and minimal equipment that work the whole body are more than enough for BJJ athletes. A 20kg/45lb plate is more than enough equipment for building a better body. You can do these at home or right after a BJJ training session. 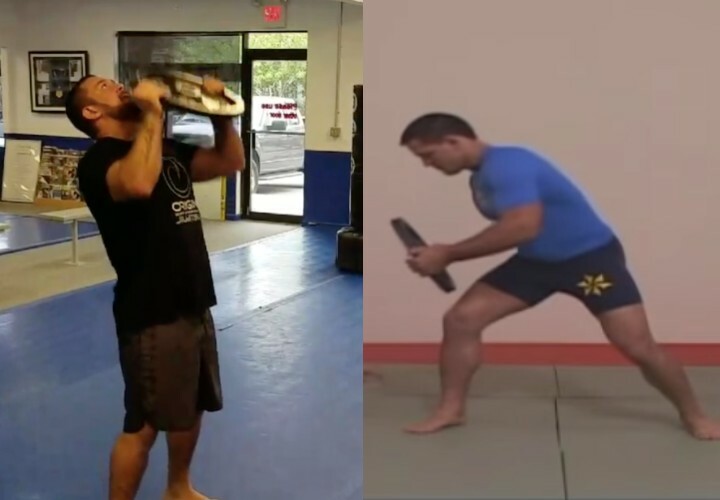 Here we look at how 2 BJJ champions work out with the plate. Tom DeBlass believes in inserting intermittent workouts into your busy day. If anyone doesn’t have time for marathon training sessions, it’s father of 2 and BJJ gym owner Tom DeBlass. For everyone, he recommends short, intense workouts injected into your busy day. Many of his BJJ sessions are relatively short, one hour bursts of intense training. His supplemental training sessions might be short 15-20 minutes of work with a single 45lb weight plate, or some simple body weight conditioning exercises like burpees or pushups. By injecting intermittent workouts into your day, you are able to fit them into your busy schedule at a time that is convenient. You are more motivated, knowing that your workout is going to be short. You are also able to work out more intensely as you don’t have to spend 2-3 hours in the gym. Another example of a plate lift exercise for Jiu-Jitsu. This is my third set and third variation. I have 2 more sets to do. Try and get some of these in after rolling, 3 to 5 sets. I’m using a 45 lb plate but you can adjust accordingly. If you’re ready to trade in your “Dad Bod” or you’ve always wondered if there was an easy-to-follow nutritional and exercise plan that will get you in the best shape in your life, without endless hours in the gym or trying to survive on lettuce and water, then look no more. BJJ Fanatics has brought one of the most respected BJJ martial artists, teachers and school owners, Tom DeBlass in to share the simple to follow secrets that have him in the best shape of his life at age 35! 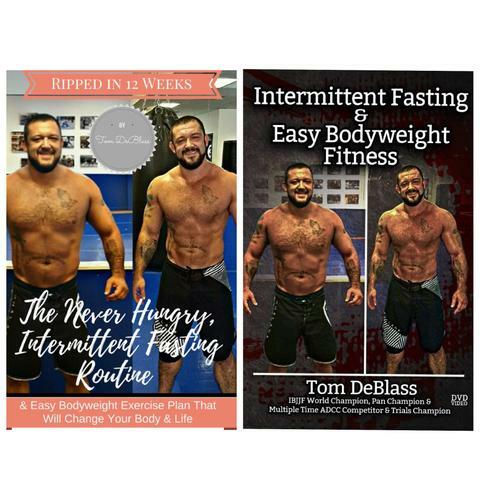 Check out “Ripped in 12 Weeks” available here where Tom will share all of his nutritional and fitness secrets in an easy to follow format, complete with guidebooks and recipes.